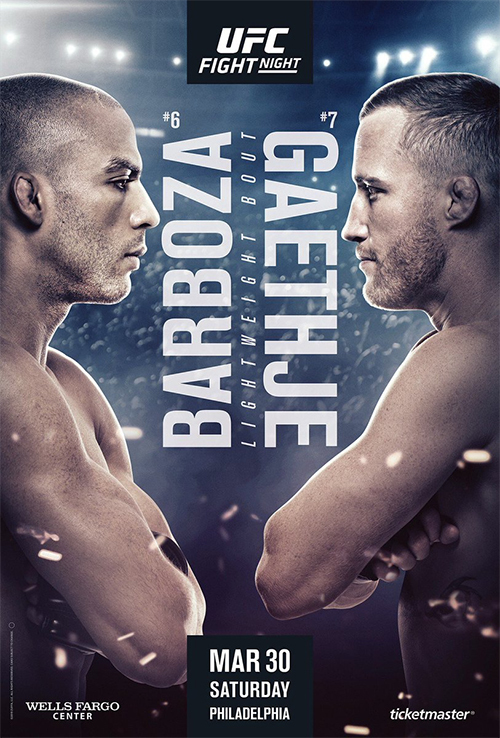 UFC on ESPN 2: Barboza vs. Gaethje is an upcoming mixed martial arts event produced by the Ultimate Fighting Championship that will be held on March 30, 2019 at the Wells Fargo Center in Philadelphia, Pennsylvania, United States. 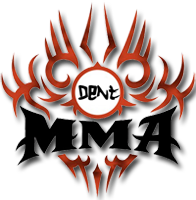 The event will be the third that the promotion has contested in Philadelphia and the first since UFC 133 in August 2011. A lightweight bout between Edson Barboza and former WSOF Lightweight Champion Justin Gaethje has been tabbed as the event headliner. A strawweight bout between Alexa Grasso and Marina Rodriguez was scheduled at UFC Fight Night: Assunção vs. Moraes 2. However, it was reported on December 17, that Rodriguez pulled out of the event due to a hand injury. The pairing was left intact and rescheduled for this event. In turn, it was reported that Grasso was pulled from the bout due to injury and replaced by former WSOF Women's Strawweight Champion Jessica Aguilar. A bantamweight bout between former UFC Flyweight Championship challenger Ray Borg and Pingyuan Liu was scheduled to take place at the event. However, it was reported on March 13, that Liu was replaced by newcomer Kyler Phillips for an undisclosed reason. In turn, Phillips was removed from the card on March 25 for undisclosed reasons and replaced by Casey Kenney. Most exciting fighter in MMA right now. Gaethje!